We are very excited to announce that Devonshire Hill are now participating in their second year of the Apollo Music Project. 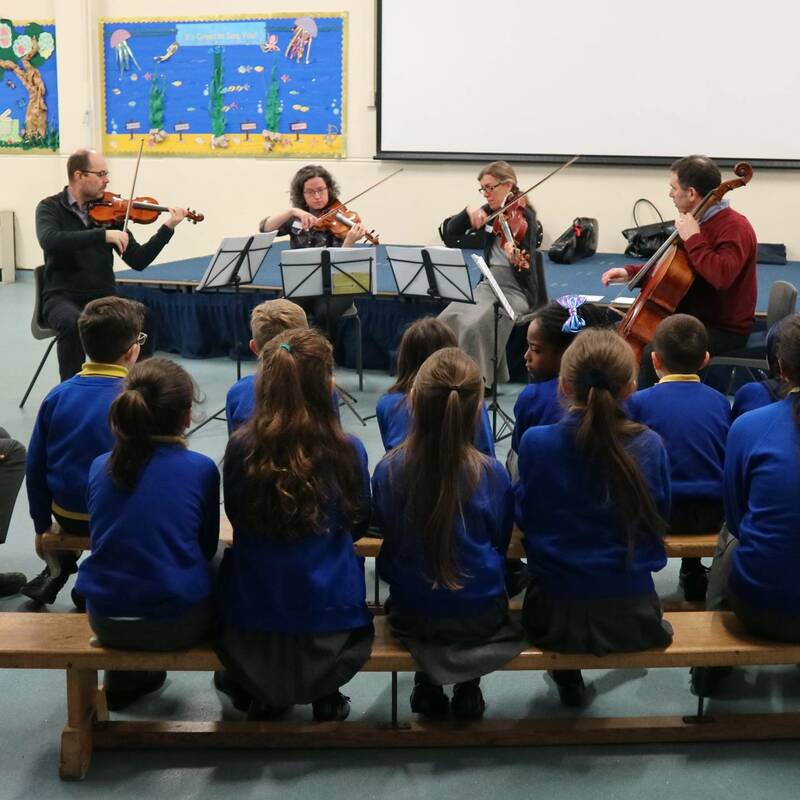 Over the next two terms Year 5 will be participating in a series of musical workshops and performances aimed at engaging and inspiring staff and pupils. This month we welcome back the string quartet. The four very talented musicians played beautiful music by combining sounds of the violin, viola and cello. Year 5 were able to discuss with the musicians how music can have an influence on mood and emotion. Pupils were asked to consider changes in their own feelings when the quartet played using a variety of techniques. David from the Apollo Music Project had such an enjoyable time during his first visit and commented that “It was a pleasure to play to children who listened so well and were so responsive. One of our violinists said that the session was possibly his favourite workshop of all, and he has been doing them for 14 years!” The project consists of six interactive and inspiring sessions and a trip to experience a symphony orchestra concert at Hackney Empire. We are very much looking forward to their next visit.